Chocolate lovers can now rejoice thanks to researchers from Arizona University, who uncovered the natural attention-boosting powers of dark chocolate. Their study, published in the journal NeuroRegulation, adds to a growing body of research touting the health benefits of chocolate. But this study may be the first to examine its cognitive impact. Furthermore, the researchers may have figured out a way to lower blood pressure with a newly concocted chocolate recipe. "Chocolate is indeed a stimulant and it activates the brain in a really special way," said the study’s lead author Larry Stevens, a professor of psychological sciences at NAU, in a statement. "It can increase brain characteristics of attention, and it also significantly affects blood pressure levels.” The study was funded by the Hershey Company, the largest producer of chocolate in North America. Stevens and his team fed 122 participants dark chocolate with high cacao levels or a placebo, and watched their electroencephalography (EEG) results to measure brain activity. The participants, aged 18 to 25, were required to perform cognitive tasks to see if there was any improvement in those who ate the dark chocolate. Not only was chocolate able to help participants attention spans, but it also had the ability to bring peace to their brains and lower blood pressure, the researchers found. In a control group, they experimented with one of the chocolates by adding L-theanine, an amino acid used to calm brain waves. 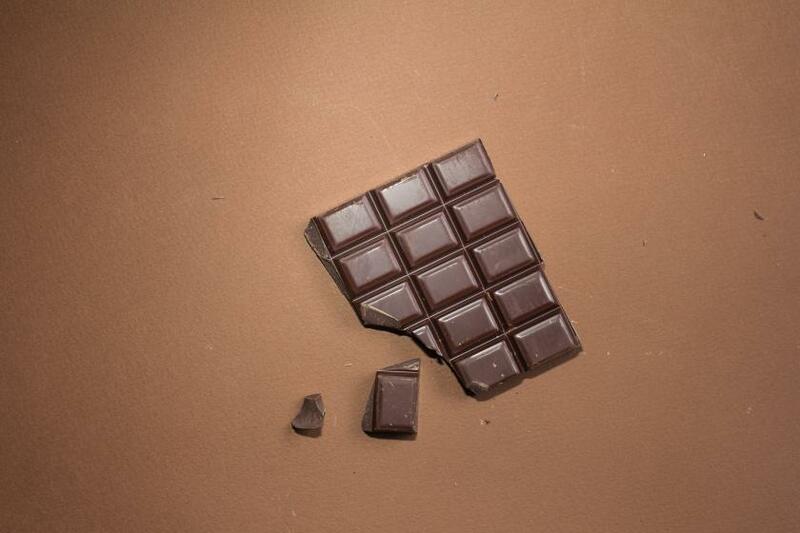 Normally, after chocolate is consumed, it immediately raises blood pressure for a short time. The new recipe with L-theanine changed that. The new recipe hasn’t been introduced to the market yet, but further research could bring a new heart-healthy product onto the market. Flavonoids and antioxidants found in chocolate help resist and repair cellular damage, according to the Cleveland Clinic, but L-theanine could improve its role in cardiovascular disease. Until then, consumers can reap the benefits of regular 60 percent-cacao dark chocolate, which may help boost attention span after a busy morning. Source: Montopoli M, Stevens L, Smith C, et al. The Acute Electrocortical and Blood Pressure Effects of Chocolate. NeuroRegulation. 2015.